More awesome documentaries from the BBC. First out, David Bowie – the story of Ziggy Stardust, and after why not enjoy Kings of Glam for a full night of 70’s fun. My Art Director at work, the new proud owner of the White Falcon copy, asked me if I could bring his old Yamaha FX-310 back from the dead. There was a fair share of cleaning involved and then I tightened the screws and oiled the machine heads, polished the frets and oiled the fretboard and then I tried to correct the neck angle. 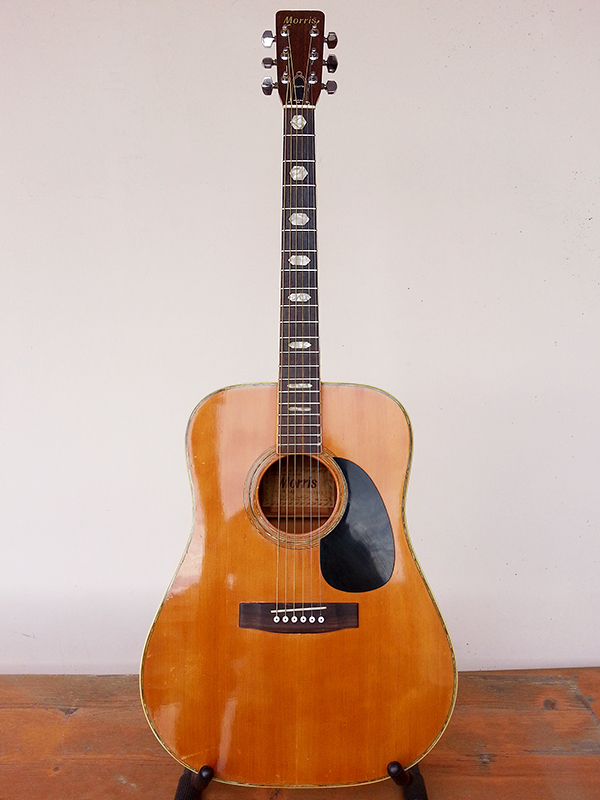 I’m not sure if it was because the guitar has been without strings for so long and was missing the string tension but the action was so low that that everything just buzzed. I tried to correct the angle of the neck with the trussrod but it made no difference, it was as loose as it could be. I had to make the saddle higher but since it had the piezo pickup built in to the bottom of the saddle I couldn’t just change it for a new one. In the end I cut a matchstick in half and put under it, I guess bone or some other material would have been better for the tonal qualities but since they saddle was made of plastic anyway I don’t think it would have made any difference. It actually plays pretty well now and sounds really good for have been made in Indonesia. I’m not sure if all Yamaha’s sounds and plays this well but I was pretty impressed. 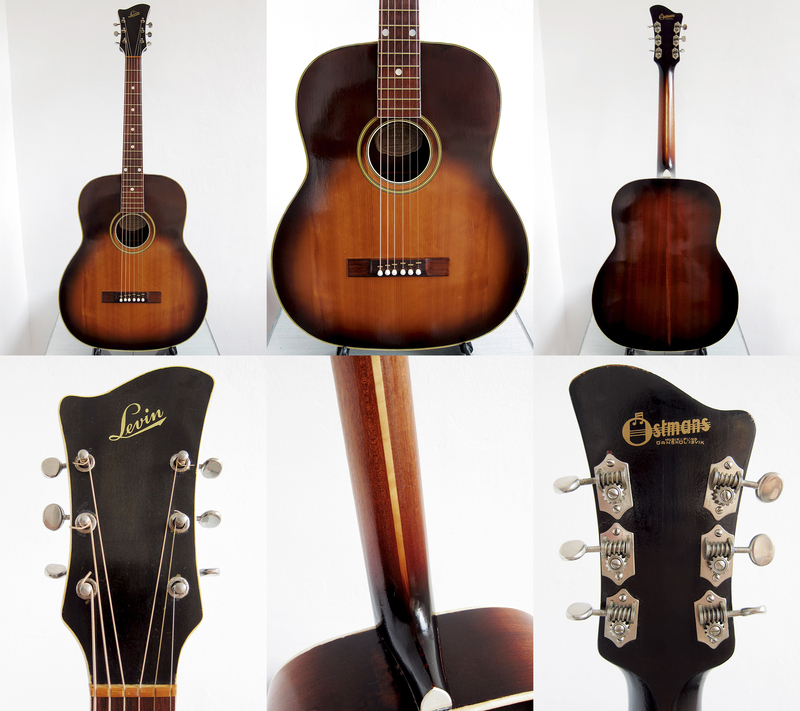 When I started to play guitar 20 years ago a lot of my friends had Yamaha’s and other inexpensive Far East made acoustic guitars but I was fortunate enough to learn to play on my dad’s old Levin LT-16 so I never really tried any of these Yamaha’s back in the early 1990’s. The other day Araceli and I went to see Kris Kristofferson here in Barcelona. It was a late birthday present for me and a early one for her. 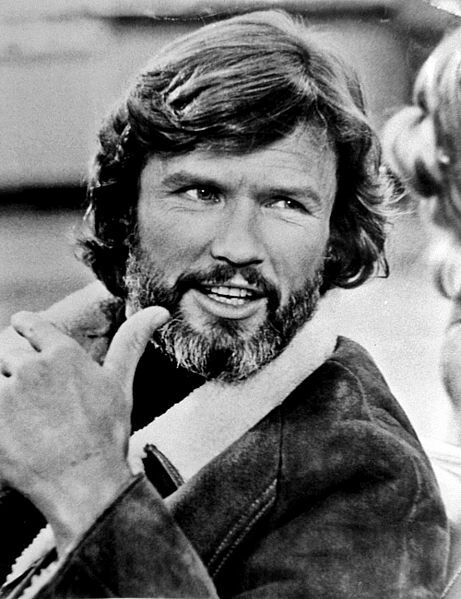 It was just Kris Kristofferson with a Gibson Southern jumbo and he used the same 3 Cowboy chords and picking pattern in every song so maybe it got a bit repetitive. He wasn’t much of a singer back in the days and even less so now, or guitar player for that sake, but he has written so many good songs and it was a pleasure to listen to an old man from Nashville for an 2 hours and I’m really glad we got a chance to see him. I forgot my camera but I just found this clip on Youtube. Yesterday the newest member of my Greco family arrived from Japan. I went a bit bananas last week when I saw that my favourite eBay seller Tokyowax was selling a Greco Spacey Sounds TL-500 so I bought it straight away. 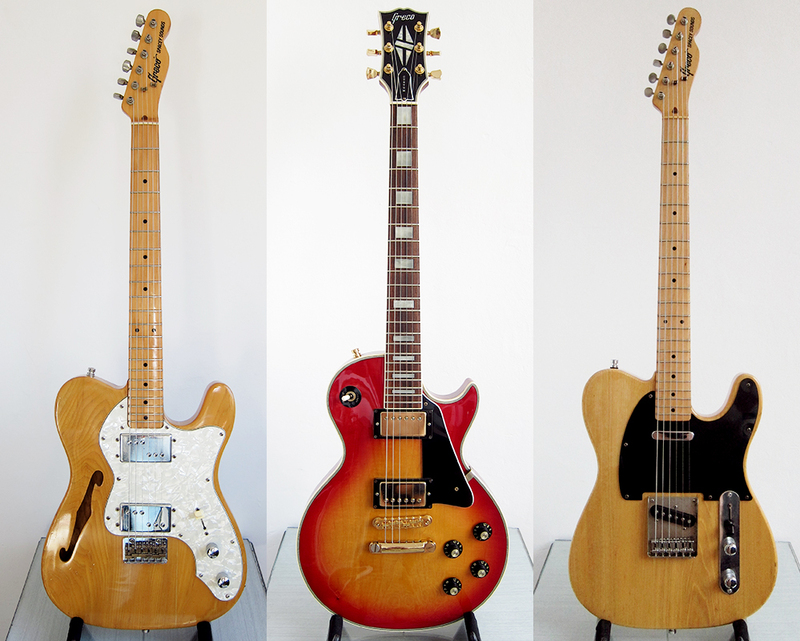 These Greco TL-500 are pretty rare, there are about 3-4 Greco TE-500, the Thinline version, for sale on eBay at the moment but I have only seen 2-3 Greco TL-500 for sale in the last two years. 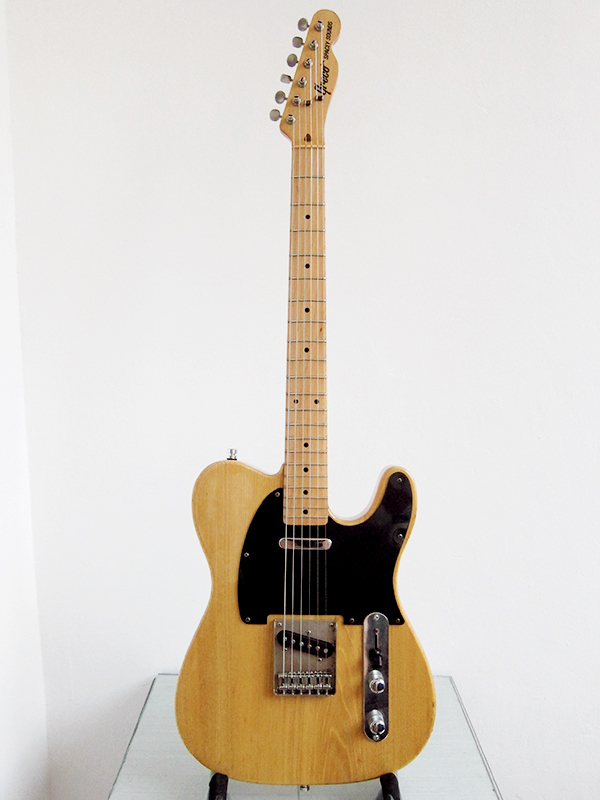 I’m not sure if they produced more Thinline copies in late Seventies than normal Telecasters or if people refuse to sell them, but you rarely see these and when you do they are normally very expensive. I got mine fairly cheap since one of the string ferrules on the back was missing. Well I shouldn’t really call it cheap and now the import tax from Japan had increased as well, I had to pay 95€ instead of the normal 75-80€. I didn’t have to do much to her, everything was pretty well set up already. The frets looked pretty bad so I polished them, oiled the machine heads, tightened all the screws and restrung her. She plays amazingly, even better than my old mistress, my Greco Spacey Sounds TE-500 Thinline copy. It might seem weird that I put my old “Nancy”, my Fender Telecaster TL52-75, up for sale and then bought a new one the same week. 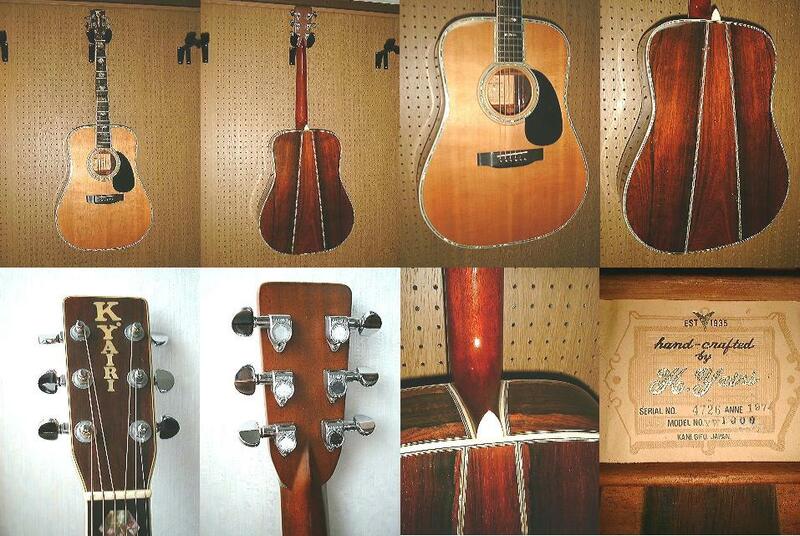 The truth is that even though I love my Japan made Fender, I don’t dare to use it since it’s in such a good state. I prefer guitars that are older than me and have a couple of battle scars already. 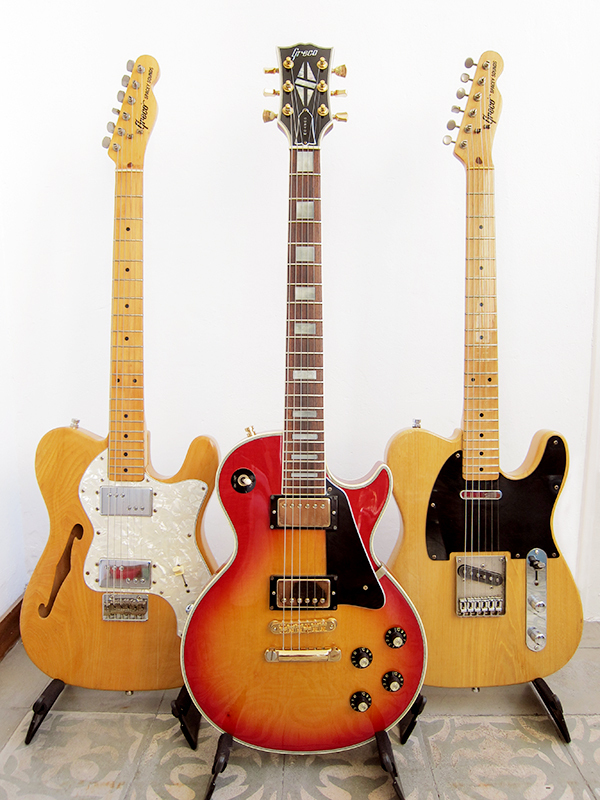 I guess I’m also a bit gay for late 1970’s Greco guitars. The body has quite a few marks on it but the back of the neck is like new and that’s the only thing I really care about. 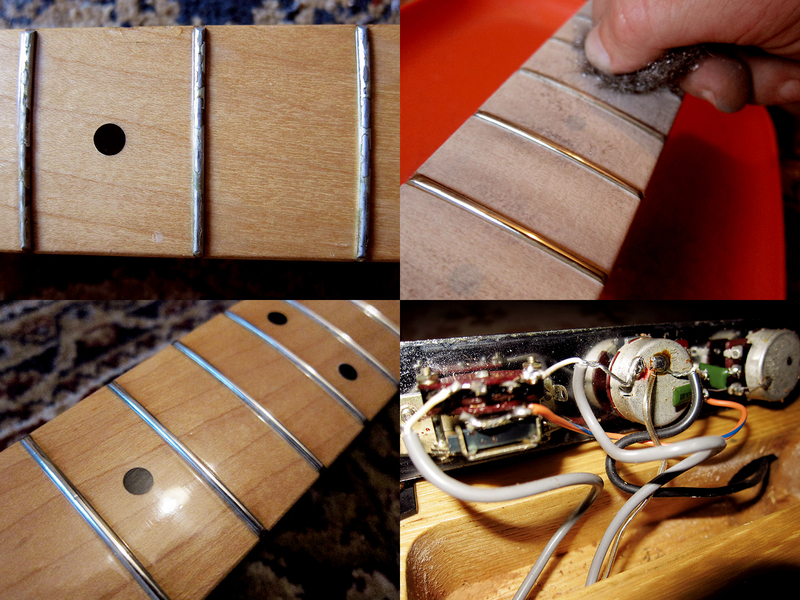 The frets looked pretty bad so I masked the fretboard and polished them with 400 and 800 grit and then wire-wool. 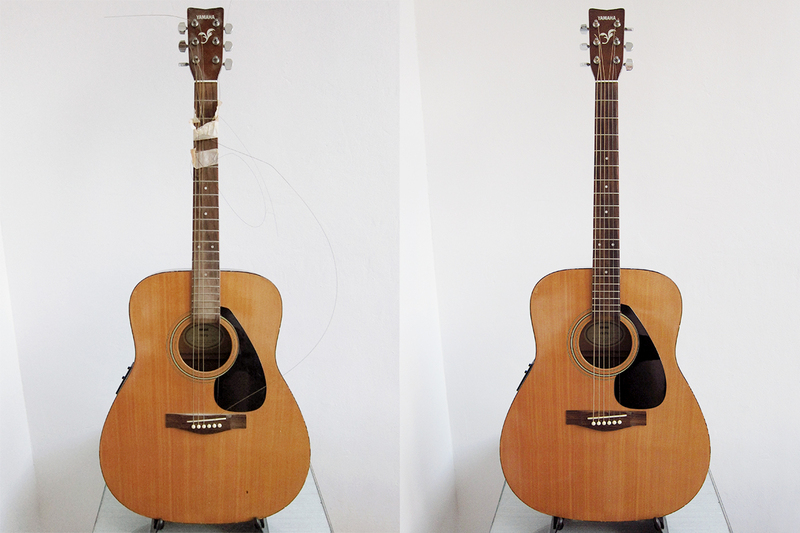 It looked like they had put the frets on before they applied lacquer to the neck and then after 35 years of playing half of it had worn off. The electronics seemed to be in good order and the guitar sounded awesome when I plugged it in so no reason to mess with that.